Last month I went home for a visit: a happy occasion, my niece’s wedding. I survived the long flight and dove into familial waters again after an absence of several years. It was, and probably always will be, an intense experience. I know I’m not alone in this. If families didn’t exist, I would have many fewer clients. Whatever you believe about what happens before we’re born, it’s obvious that we don’t arrive on neutral ground. We’re delivered from the womb straight into an ongoing story. The main characters are already in place, with their own histories and established ways of relating to each other. This story – the family – is our world. In the beginning, it’s everything; as we get older, it sticks to us or sustains us, haunts us or buoys us, depending on whether we were born into Little Women or The Shining. But inevitably your story branches off and continues, and develops independent of your family. You become you. You don’t even have to be particularly rebellious. Just making your own choices and living your life means you’re creating your own narrative, which will differ from your family story. This is where all that good stuff like maturity, rites of passage, and self-discovery happens. Going back to family when you’ve been living inside your own tale for awhile can be disorienting, to say the least. Sometimes the stories don’t sync. Often there’s a kind of magnetic force that pulls you back into old roles or behaviors. On this last visit I managed to channel several earlier versions of myself, including the sullen twelve-year-old with a smart mouth and big dreams, lamenting her lack of independence in the cream-colored back-seat of the family Ford. In reality, I was riding in the car with my sister and brother-in-law on a long drive down the east coast from Canada to New York. They were not holding me hostage. They are fellow adults. Yet I felt oddly powerless, and it sent me right back to pre-teen. I had to physically rouse myself out of a slouch to shake the mood and come back to the present. At the wedding, I found that my near and dear ones — surprise surprise — had all gotten older. Various limbs and organs weren’t working as well as they used to; silver hair and walking sticks made an appearance. Meanwhile, out on the dance floor, the next generation was doing near-complete backbends and singing along to songs I’d never heard of. Reader, I felt old. But there’s more. I also did something that’s pure poison, but hard to avoid: I compared. Everyone seemed to have spacious houses, two cars, great kids, the ability to make complex financial transactions and take exotic vacations. There was an ease and openness (though not without hardship, and hard work), an expansiveness that I admire. Behind me across the ocean: a small apartment, narrow streets, spare living, a different relationship to time and space, more cramped, more circumspect. I started to question my story. Maybe what I’d grown to think about myself and my life was an illusion. Maybe all this time I’d been off on a weird bender, checking in every few years for a wedding or a funeral in order to be set straight and reminded of what life was supposed to be like. As though in exchange for basking in the warmth and familiarity, the shared history and blood support, I had to sacrifice my version of myself. A dear friend is writing a novel. She finished the first draft about a year ago, gave it to a few trusted readers, and revised based on their comments. Recently she told me she’d gone back and undone a series of edits. She’d tweaked the plot in several places based on suggestions, but on further reading, she’d decided to put things back as they were. I’ve learned that if I pay that kind of attention to what’s happening when I’m with my family, I can avoid a lot of traps – not all of them, but enough so that I can enjoy all the good stuff. The fabulous road trip when I saw the leaves beginning to flame red and orange in Maine and New Hampshire. The authentic diner with a ten-page menu, rice pudding, and a cranky Greek waitress. My sister and I shooting spitballs at each other in a highway restaurant near closing time, trading old stories, singing in the car, laughing. My cousins who hugged me and spoke in deep New Jersey tones that wrapped around my heart like warm hands. Dancing with the beautiful bride. The instant familiarity of the eyes and smiles I was born into. Our genuine mutual delight in seeing each other again. The holiday season is upon us. If you find yourself with family, dear reader, then walk that fine line. Love them if they are loveable, enjoy them fully, but also be courageous like my writer-friend. Stay true to your story. Don’t doubt yourself, don’t poke holes in the life you’ve built for yourself. Faced with all that evidence of who you were and where you came from (the March residence? the Overlook Hotel? ), don’t forget who you’ve become and where you are now. Sit up tall. Pinch yourself. Edit judiciously. 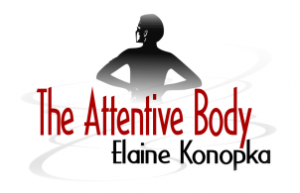 Elaine Konopka is the founder of The Attentive Body in Paris, offering private sessions in attention-based bodywork and pain management, and workshops on writing and conscious breathing. You can also find her on her YouTube channel dedicated to writing for wellbeing, The Write Thing to Do. Motivating, thought-provoking, informative: The Attentive Body monthly newsletter. It’s free and your privacy is respected. Sign up here. This is really good. I have a few loved ones who would benefit from this sage advice. Hey thanks for reading, PB, and for taking the time to comment. Beautifully observed, and written. I am glad I got to know you when living in Paris Elaine. Happy to hear from you, Emmanuelle, and to know that you’re out there reading. Thank you for your kind words. It’s a pleasure to have met you! Elaine your story was an enjoyable read. I always think about family and how things change. Growing up we had a focus for the holidays. We always went to either the Kosinsk’s or the Konopka’s because that was where babci was. Now families don’t have that rallying point. Who has to go to their mother’s, sister’s, in-laws. Families may now be separated physically, but we are always in our thoughts. 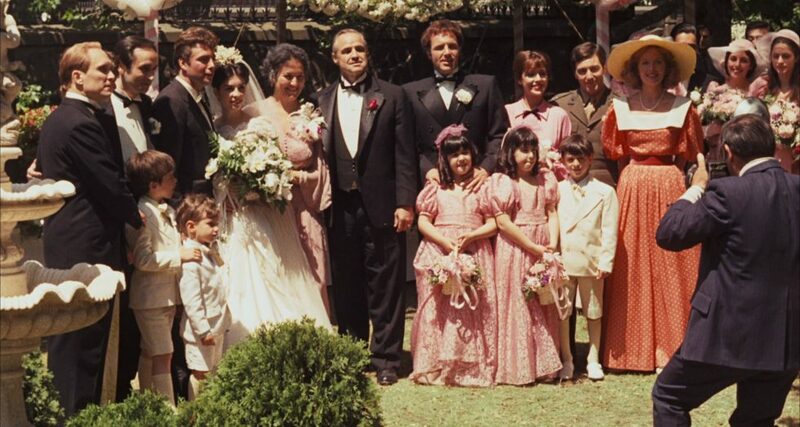 It was really great having the whole family focused and together at Jackie’s wedding. Hugs we’re pretty good too. We may be apart and separated by distance, but WE ARE ALWAYS FAMILY. LUV YA! Amen! It’s great to have happy occasions like weddings to bring us back together. Thanks for reading, and thanks for being one of those deep voices that touches my heart! I’m glad too. Life is fleeting, and seems to go faster and faster as we move through it. Thanks so much for reading. As spot on and timely as always. Ah… the comparison monster! The early versions of ourselves and old patterns! Life is rich in many, many ways regardless of ones apartment size, etc. Good reminder. Sounds like you’ve been there too. It is rich, isn’t it? Thanks for reading, Greg. Ha! Fun times! Thanks for reading and commenting. You hit the mark, Elaine . Be, do, live, love , in every moment. Absolutely! Thanks for your ‘Eagle’ eyes, Jack. Excellent post — acute observations. Love the way you acknowledge the bitter with the sweet. Thanks. Contact me with your questions or to schedule a session.